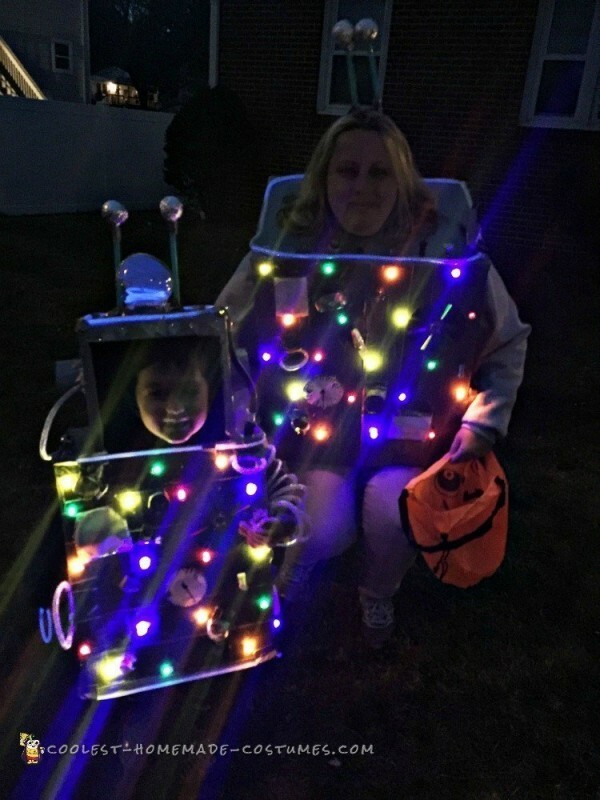 I made these cardboard robot costumes because my son decided he wanted to be a robot for Halloween. Since he’s still little I wanted to dress up the same as him. I first looked online to see if I could purchase a costume, but nothing seemed nice enough. 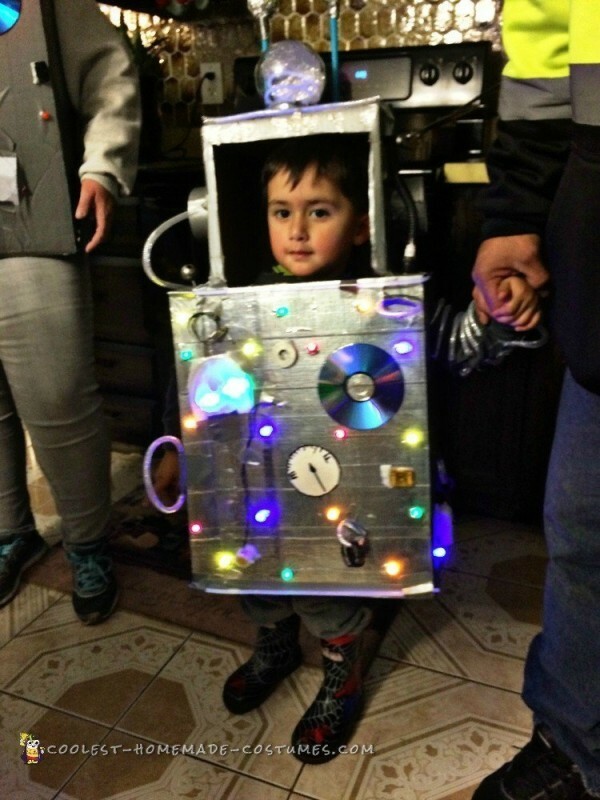 I then decided to make our costumes myself. I used cardboard boxes and duct tape for the main structures. 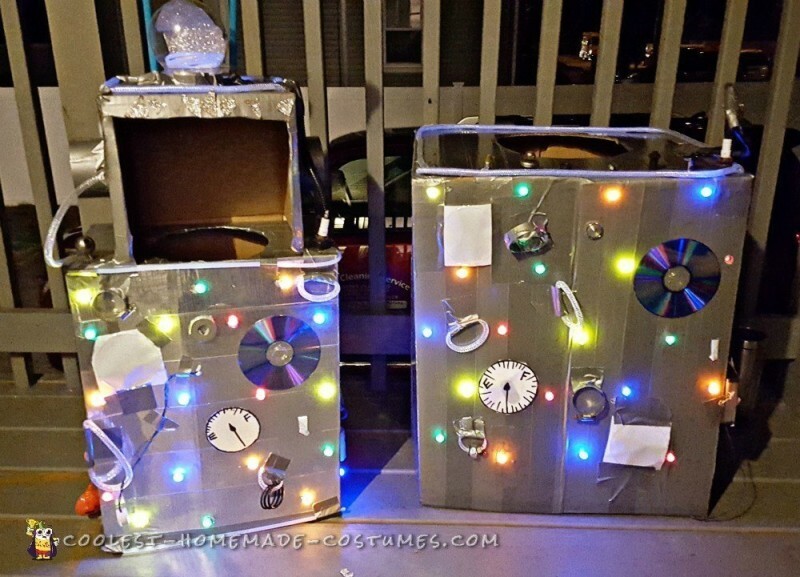 Then, with glue and more duct tape I attached many miscellaneous items such as clamps, glow sticks, nuts and bolts. I also added battery operated Christmas lights, gauges, and hand-drawn accessories. 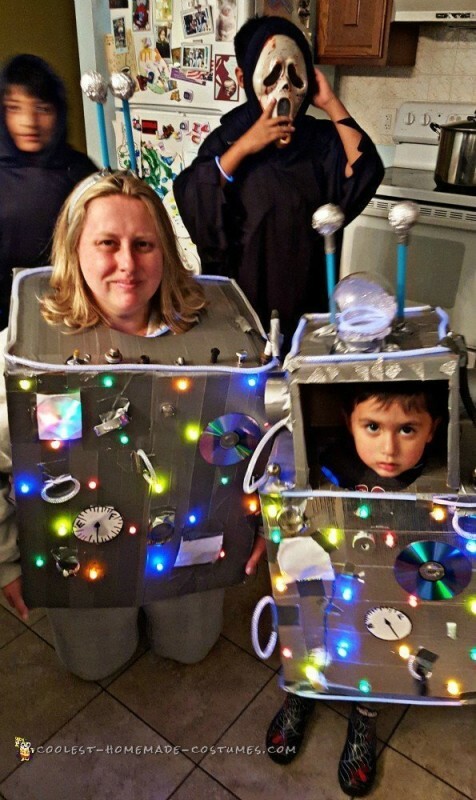 The costumes were a little difficult to make, but the effort we put into it was completely worth it in the end. We looked the same and everyone who saw us knew exactly what we were. We got so many compliments on our costumes. The costumes were safe as they were extremely visible. They were also Very unique. Nobody else was dressed like us. We didn’t want to take them off when the night was through. Anybody that saw us will be talking about our costumes even into next year when they plan their next costume(s). We looked amazing and we enjoyed our time together.